Two women have been arrested in a drugs raid at a property in Worthing. At 11am on Thursday last week, police executed a warrant under the Misuse of Drugs Act at an address in Clifton Road, Worthing. Police said two women were arrested. One, a 21-year-old from Littlehampton, was arrested on suspicion of possessing class A drugs - heroin and cocaine - with intent to supply. 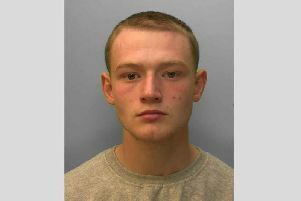 The other, a 24-year-old from Worthing, was arrested on suspicion of conspiring to supply class A drugs. Both were later released under investigation while enquiries continue. The Adur and Worthing police prevention team said: “ We would urge anyone with information concerning the misuse of drugs in their community to come forward. To learn more about Sussex Police’s drugs policy, visit: https://www.sussex.police.uk/about-us/policies-and-procedures/drugs-policy/.